Jypyä Pop (Turku, Finland) on 10 May 2014 in Animal & Insect and Portfolio. This is a lovely monochrome which I think suits the subject better than colour. 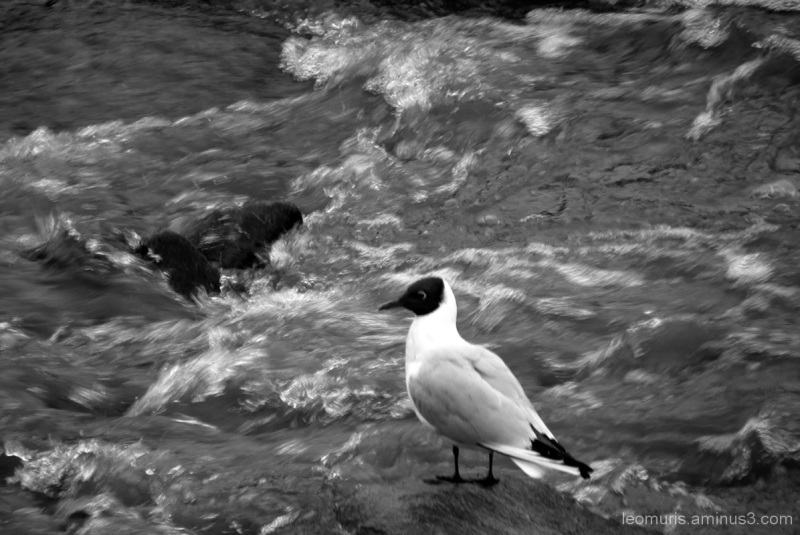 Very nice shooting in Black and White, I love the movement of water in the background and the sharpness on the bird. A great photo, I like a lot. @Ruthiebear: Maybe it's waiting for a good reason to go into the water. This could be for example a fish. Superbe prise ! beau N et B ! The expression looks like he is not too sure if he likes the water. Wonderful b&w image! @Elaine Hancock: Maybe it's just waiting for a good reason to go into the water. Maybe it is waiting for a fish flashes. A superb composition Jypya Pop !! A great image in fine detail !! He seems alert for a tidbit.